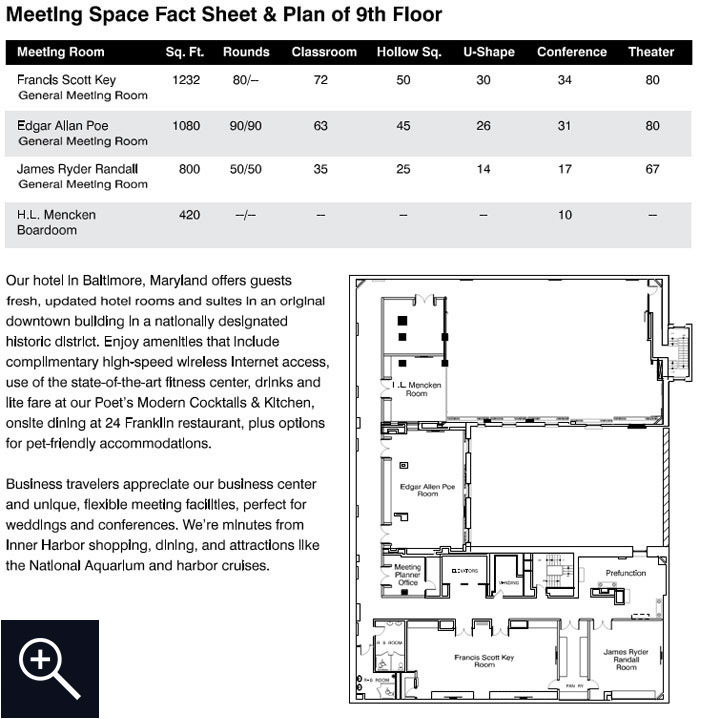 Hotel Indigo Baltimore offers four unique venues with the flexibility to host a variety of events, including business meetings, conferences and training sessions. Our historic midtown location infuses your event with vibrant, original flair. We offer on-site event catering, as well as expert event planning, group rates, AV/tech support and a well-equipped Business Center. The hotel’s exclusive VIP event space is located on the top floor of the hotel, ensuring privacy and productivity in settings filled with natural light, while The Library is a cozy, comfortable setting for small meetings, cocktails and intimate social events.